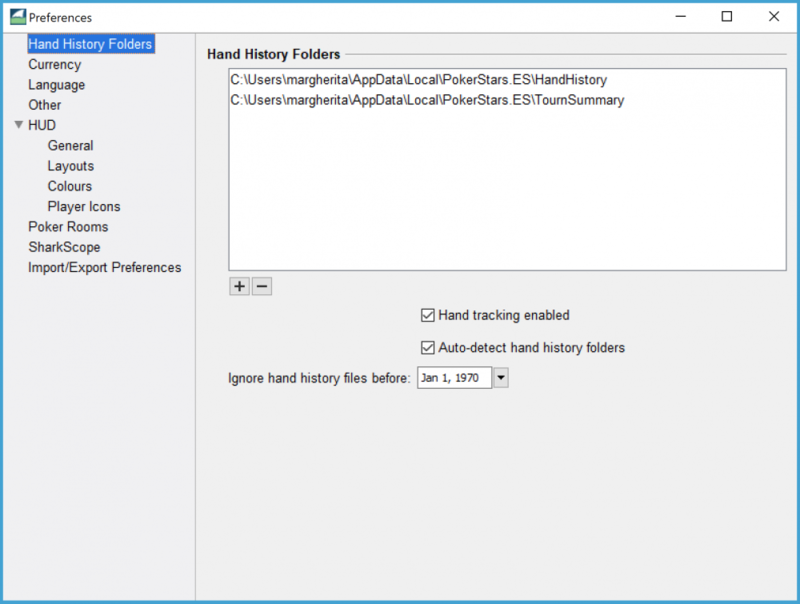 This lists all the folders that are scanned for hand history files and tournament summary files. The folders are scanned recursively, up to three folders deep. You can manually add or remove folders by clicking the + and – buttons. Uncheck this box if you do not want SharkScope Desktop to automatically find your hand history folders. It is best not to turn this off unless you have a good reason to do so. When you add these folders, SharkScope Desktop needs to do a lot of work to check each file on your computer to see if it is a valid hand history file. In general, the fewer folders SharkScope Desktop needs to scan, the faster it works, the less memory it uses, and the more reliable it is. This is useful if you don’t want older hand histories imported, perhaps because you believe your playing style has substantially changed. By default, this field is set to January 1st 1970. Use the calendar if you want to enter another date. 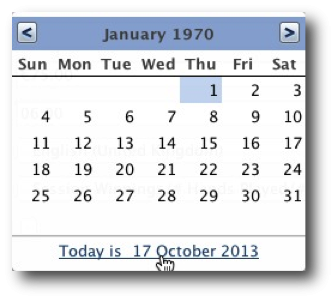 To get quickly to a recent date, click on the blue-coloured sentence showing the date of the day in the lower part of the calendar. Hand history and tournament summary files that are older than the date you enter in this field will be ignored. Files already imported before changing this setting are kept. New files found will not be read if they are older than this date. To get rid of older files, reset the database by choosing Reset Database in the File menu. The ignored files are not erased and can be imported again with the help of a subsequent database reset.